Goodreads says, "Rev Fletcher is battling the demons of his past. But with loving adoptive parents by his side, he’s managed to keep them at bay...until he gets a letter from his abusive father and the trauma of his childhood comes hurtling back. Emma Blue spends her time perfecting the computer game she built from scratch, rather than facing her parents’ crumbling marriage. She can solve any problem with the right code, but when an online troll’s harassment escalates, she’s truly afraid. When Rev and Emma meet, they both long to lift the burden of their secrets and bond instantly over their shared turmoil. But when their situations turn dangerous, their trust in each other will be tested in ways they never expected. This must-read story will once again have readers falling for Brigid Kemmerer’s emotional storytelling." If you read Letters to the Lost, you most definitely will remember the memorable character Rev Fletcher. He had a rough childhood, but is an all-around fantastic guy and has since then has moved on with his life living with stable parents who have adopted him. Meet Emma Blue, a female gamer, in a male-dominated computer world. But Emma isn't just your average gamer. 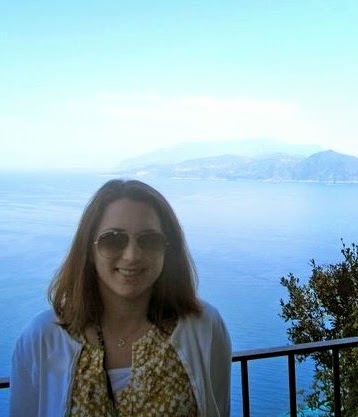 She is extremely talented and has even created her own game called OverLANDS, which has quite the following. This is all well and good except her mother, who is a doctor, wants more for her than just computers and hiding behind a screen like her computer programming father. Emma starts to get these messages online from someone who she doesn't know and the messages are threatening. This is at the same time as Rev starts to get messages from his biological father and they start to mess with his head. Both Emma and Rev find each other when they both need a friend and come to realize they may have more in common than they thought. Is Rev just a typical tough guy hiding behind an extra large sweatshirt or he is something more? Emma will slowly find this out and both characters will become important to one another. 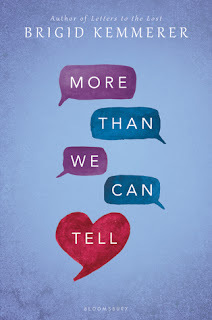 Brigid Kemmerer's More Than We Can Tellis a thought provoking and powerful YA novel for not only fans of Letters to the Lost, but also for fans of darker realistic fiction. Although I couldn't relate to Emma right away in More Than We Can Tell, I really liked her. 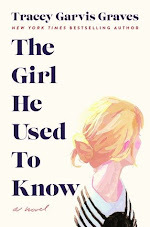 She's smart, she's talented, and she is trying to navigate high school just like a normal kid. Her mother puts pressure on her to conform to her standards; whereas, Emma puts her dad on a pedestal, because he is also a computer geek. I liked that this book portrayed gaming and computers as many YA novels don't do this accurately, but it also portrayed the struggle between what is real and what is virtual and how that may impact your life. Also, the broader question of do you really know your "online" friends came up as well as Internet safety. These are all timely and important issues that I am glad Kemmerer addressed. Through Emma, she also was able to highlight many things that teenagers go through, such as parents and expectations. What if your parents don't agree with your interests and/or passions? How do you get your parents to take your interests seriously? What if your parents want you to go in one direction and you want to take the road less traveled? All of these questions are addressed through Emma's struggle and I liked that Kemmerer covered all of that. I have loved Rev since I read Letters to the Lost; in fact, he was one of my favorite secondary characters that I read last year. He was so memorable, so resilient; you can't help but admire him. He goes through a lot in More Than We Can Tell and my heart broke for him many times, but I like how well-developed he was in this novel. There are many layers to Rev and I liked that Kemmerer really explored them. Each chapter alternated from both Rev and Emma's point of view, so fans of Rev were able to dive into his character way more than in Letters to the Lost. I love that Declan as well as a few other characters from Letters to the Lost were present in this novel. I really, really liked Declan in Letters to the Lost, so I was glad he was able to return. His friendship with Rev is one of my favorites YA friendships, so to resist that was definitely a treat. 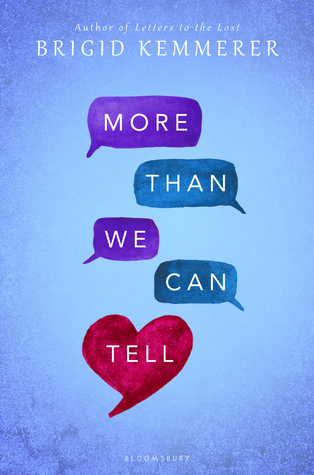 More Than We Can Tell is a bit darker than Letters to the Lost, but still very enjoyable. While I don't think it packed as big of an emotional punch as Letters to the Lost, I still found it to be compelling and an excellent read. One thing is for sure, when I want a darker and more substantial YA novel, I'm going to Bridgid Kemmerer, because she writes such memorable stories with characters that you truly care about. Ohhh. I vaguely remember him. Looks like I'll have to do a re-read so I can read this. I've been doing a lot of re-reads lately, anyway. Lol. I hear you! I had to brush up on the main plot line from Letters, but since I loved Letters so much and found Rev to be so memorable it wasn't too difficult. I hope you get to read it soon, Joy! Thanks for visiting!